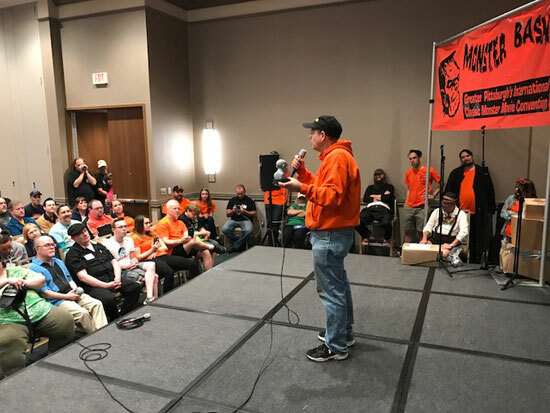 Photos provided by Ron Adams, John Sargent, Bruce Tinkel. 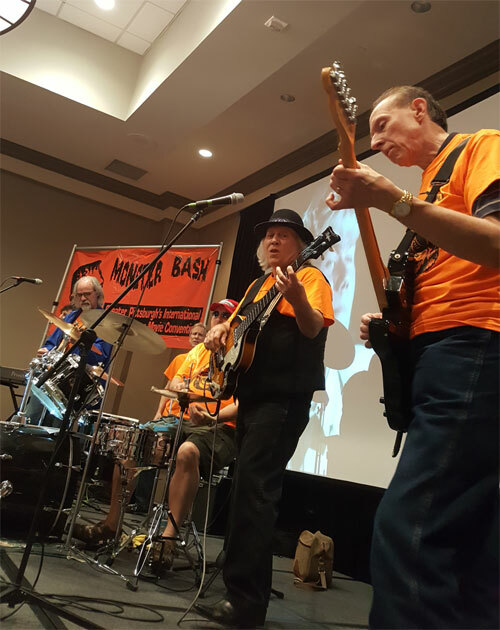 The Bash Boys jamming the oldies for a break from movies and talks on Friday night. 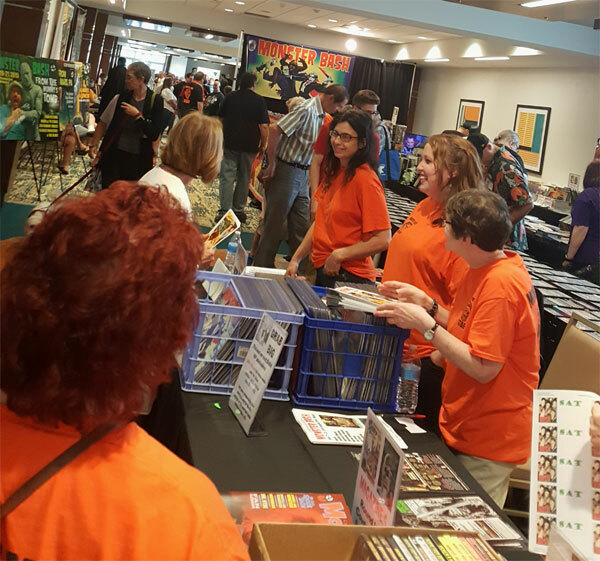 Looking for those hard-to-find DVDs and Blu-Rays at the Screem Magazine tables. His shirt says it all! 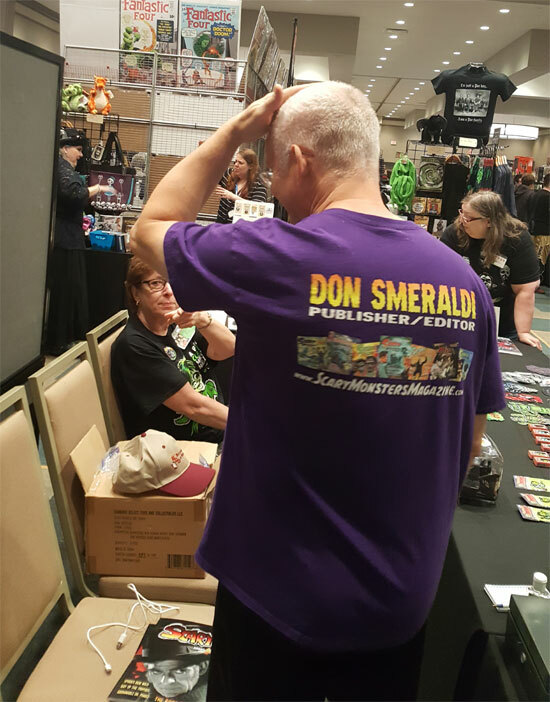 It's Don Smeraldi of Scary Monsters magazine! 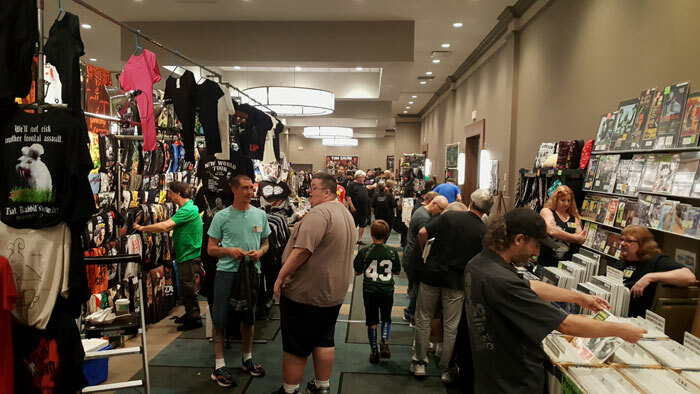 Deals in the Monster Bash dealer room. 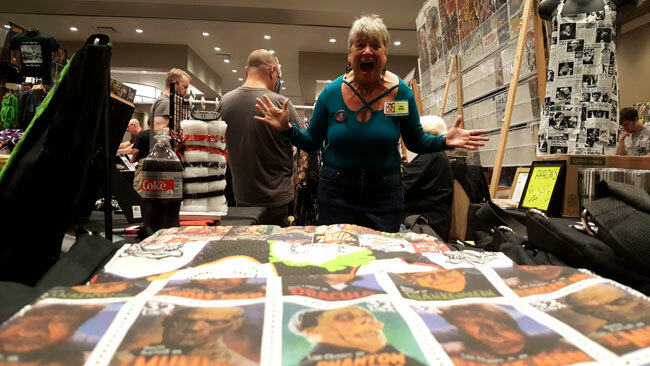 Terri Mount of That's Terri-ific in the Monster Bash dealer room. 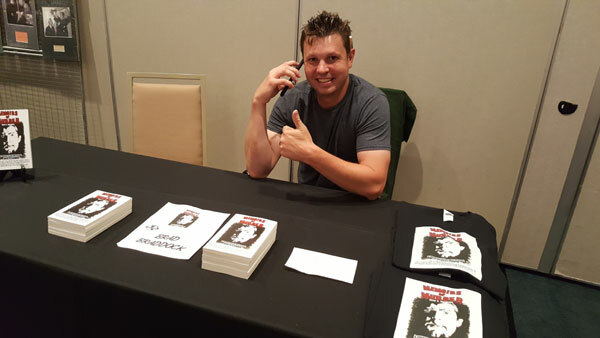 Author Brad Braddock signing books at Bash! 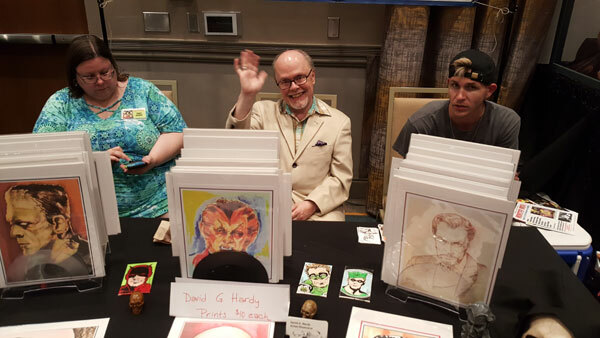 Having a great time, it's the great artist David Hardy! 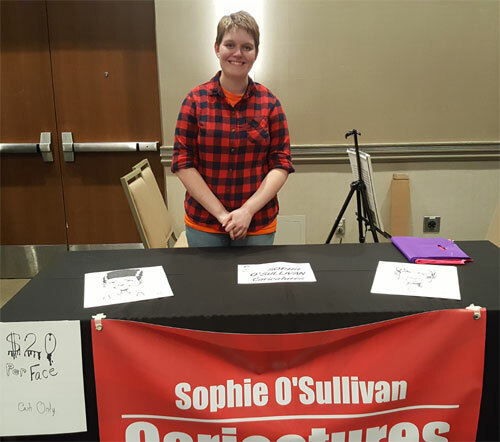 Caricature artist Sophie O'Sullivsan turns people into their favorite monster! 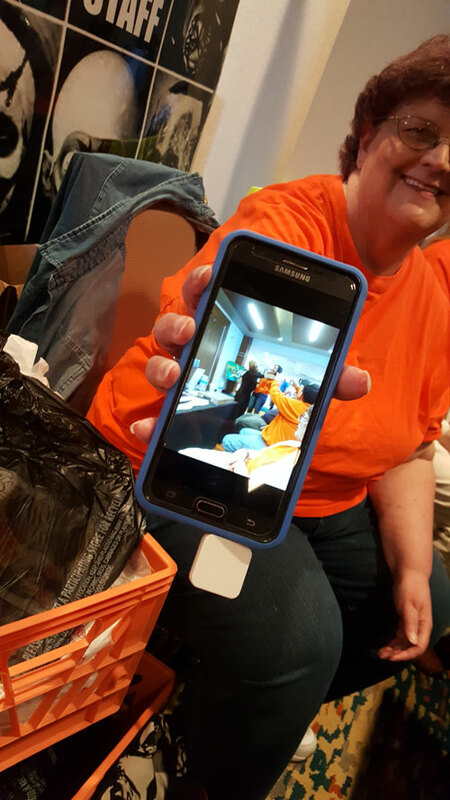 Bash staffer Barb Heiss displays her picture of Ron Adams taking a picture of Ursula Adams getting strangled by Paisley Adams as a Mole Person. Get that??? 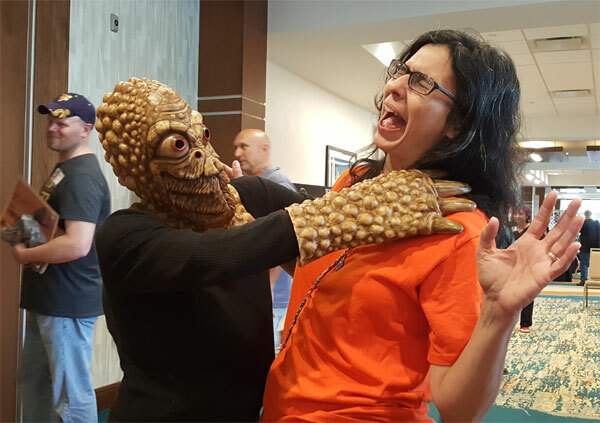 Paisley Adams as a Mole Person gets to strangle her mom (finally! ), Ursula Adams. Nothing but smiles at Monster Bash registration from Ursula Adams, Jenny Marshall and Susan Sherry. 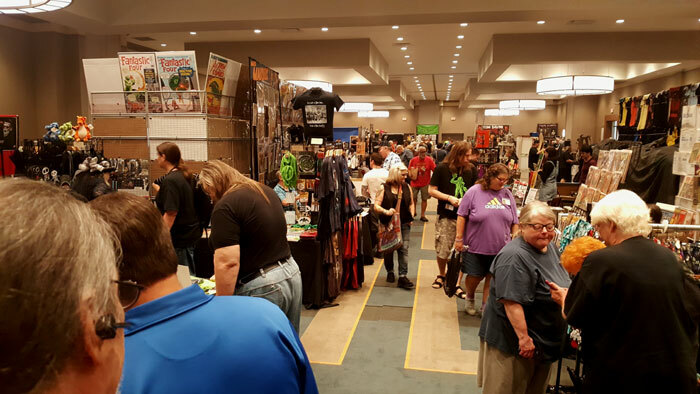 The Monster Bash Dealer room, aisle one....start digging! 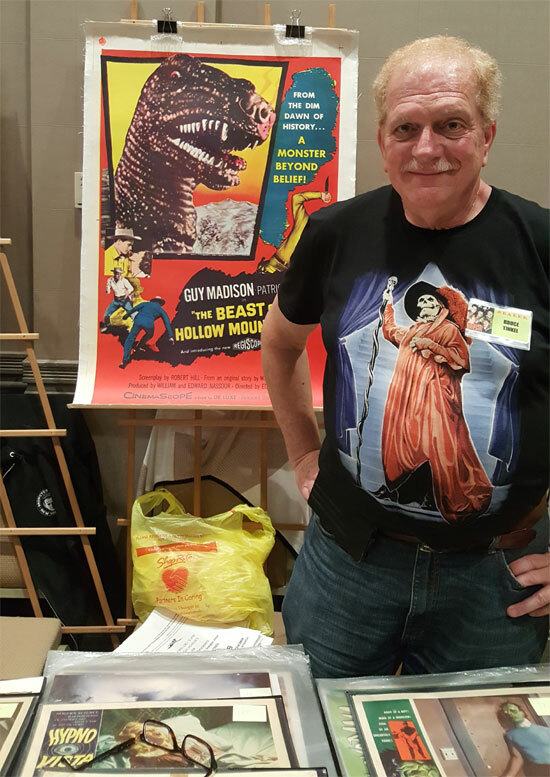 He's got original movie posters....it's Bruce Tinkel at Monster Bash. 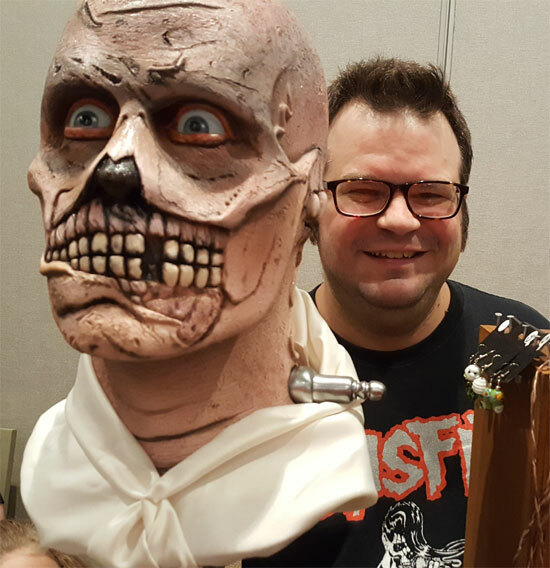 Artist Brian McGuire displays a sculpt of THE ABOMINABLE DR. PHIBES! 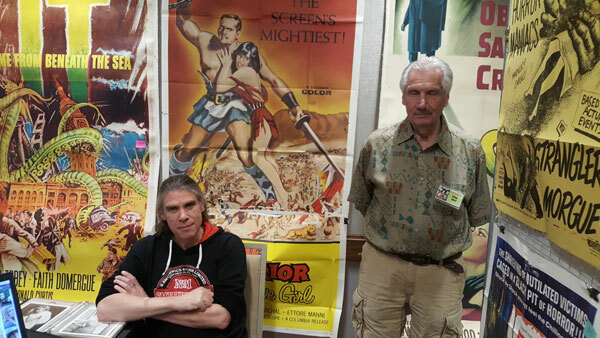 The place to stop in the dealer ballroom for quality movie poster reproductions...hundreds and hundreds of them! 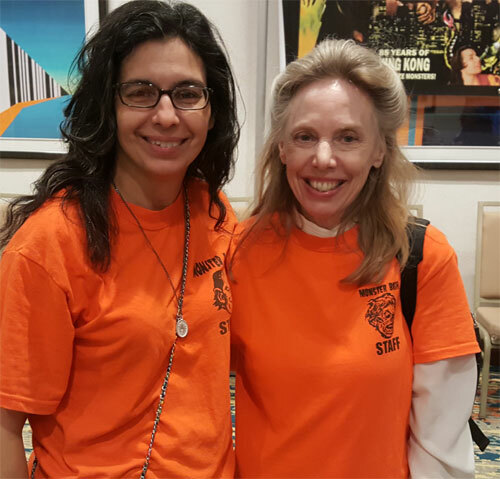 Monster Bash staffers Ursula Adams and Pat Lisk. 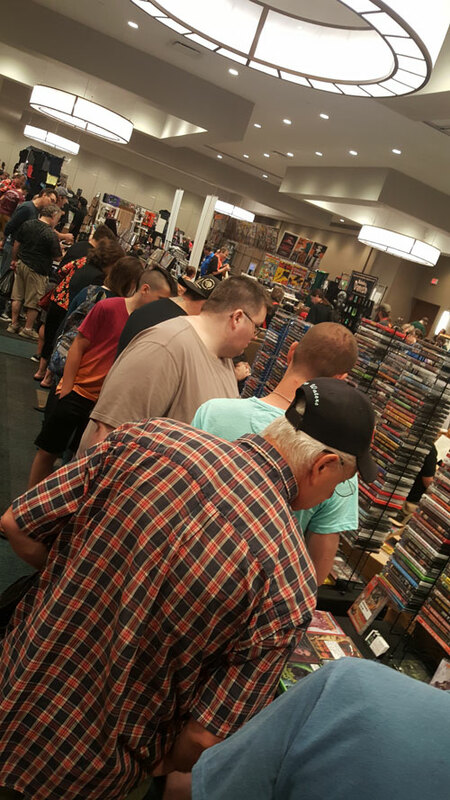 Attendees getting creepy at Creepy Classics. 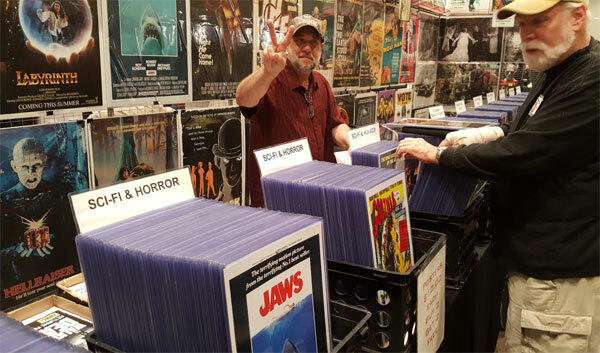 The Steve Sally Original Movie Poster room, Steve Jr. and Steve Sr. happy to help you with your collection. 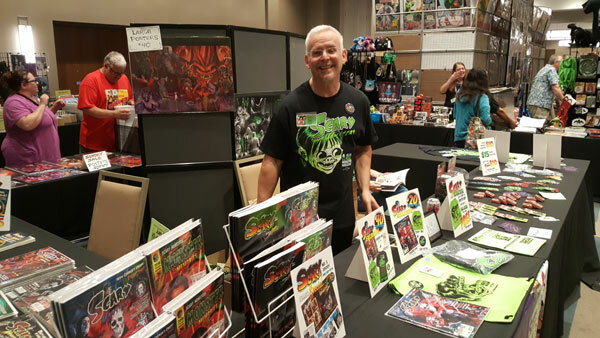 A great display from Don Smeraldi, publisher of SCARY MONSTERS magazine. 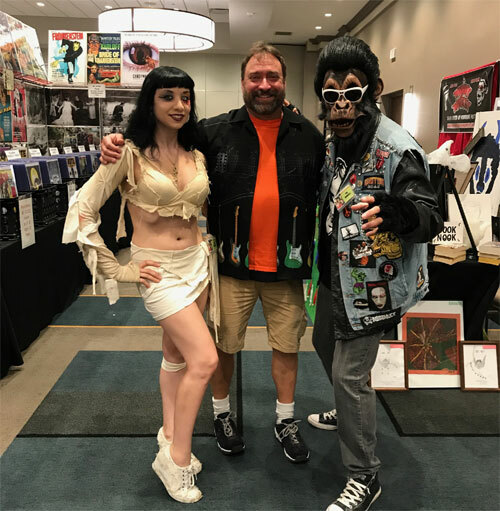 Pam and Ken Kish (Cinema Wasteland!) 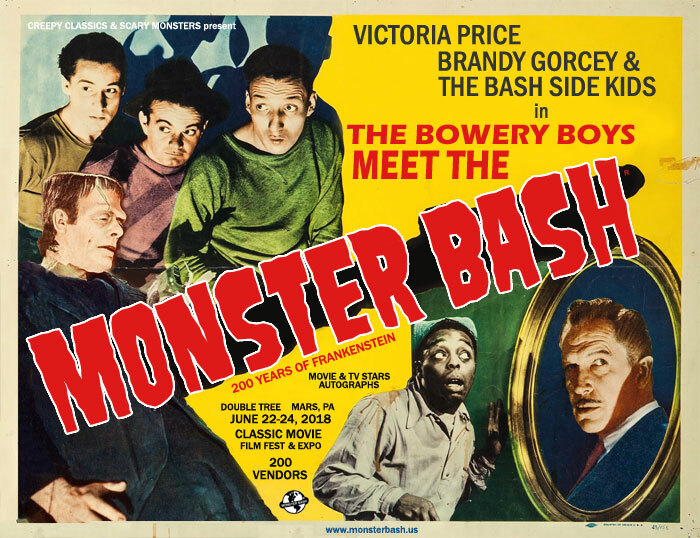 serve up the drive-in era horror for all at Monster Bash . 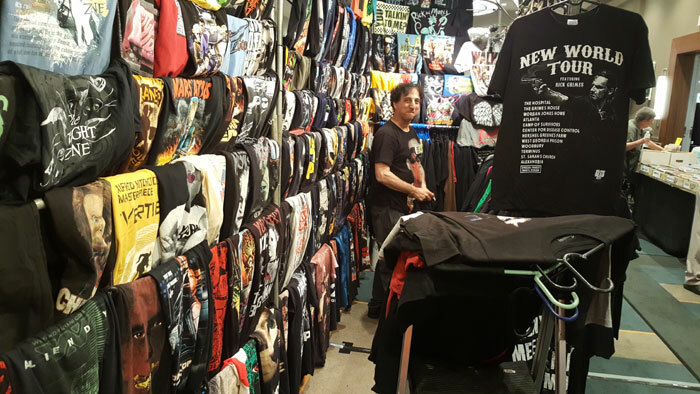 Steve Unger is the man with t-shirts, t-shirts, t-shirts...he builds a house of t-shirts in the dealer ballroom. 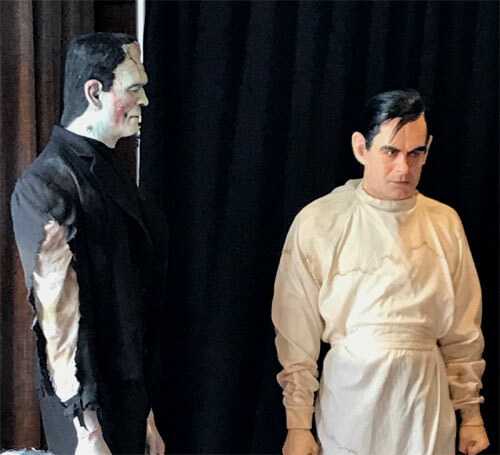 Life-size figures of Boris Karloff and Colin Clive from THE BRIDE OF FRANKENSTEIN. Figures by Bill Luciani and Tony Pitocco. 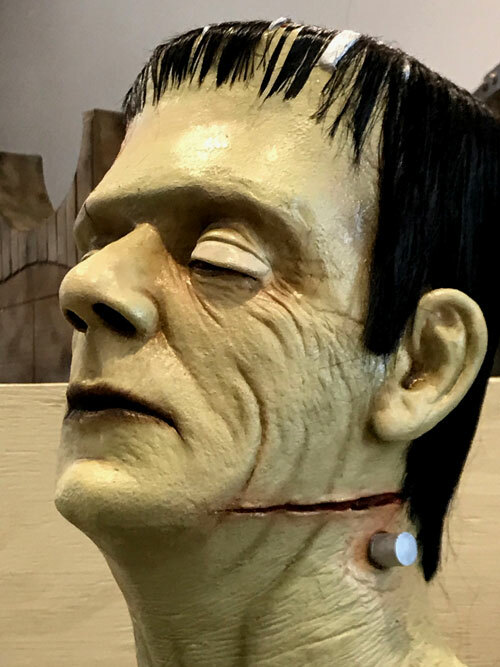 Glenn Strange sculpture...amazing (by Tony Pitocco) . Getting ready for the Monster Bash Awards on Saturday night! 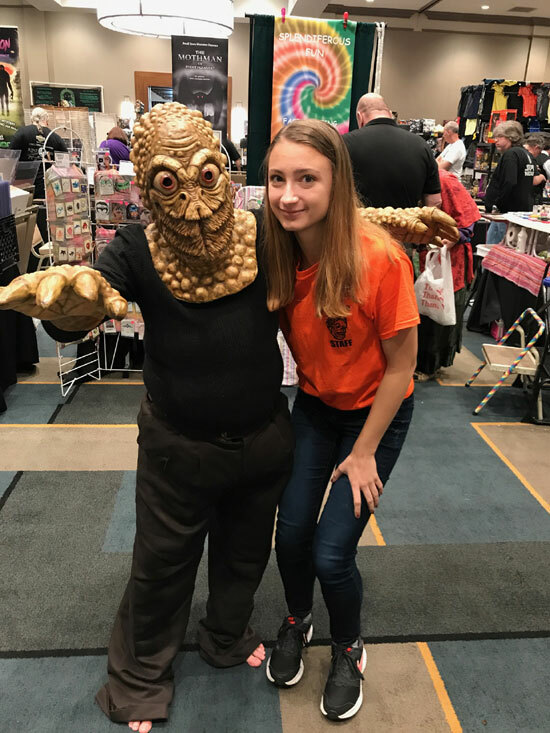 Mole Person and Jenny Sargent at Bash. 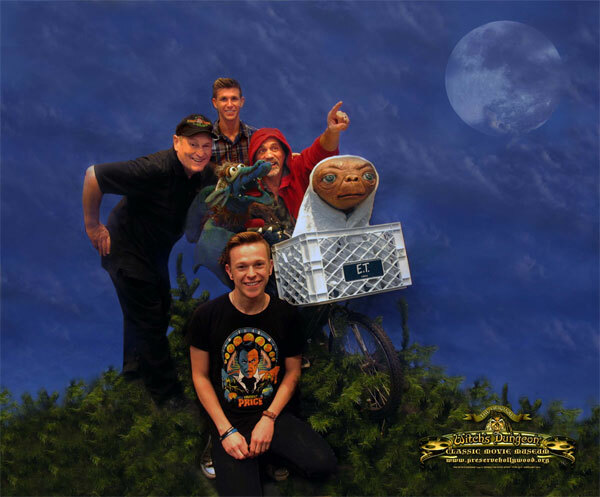 Artist John Sargent (center) with TV Horror Host team The Mummy & The Monkey. 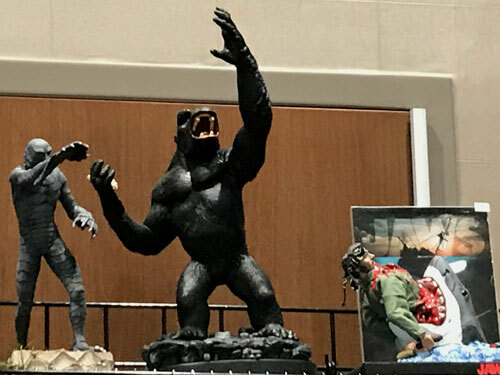 Cool resin models in the dealer room! Wow! 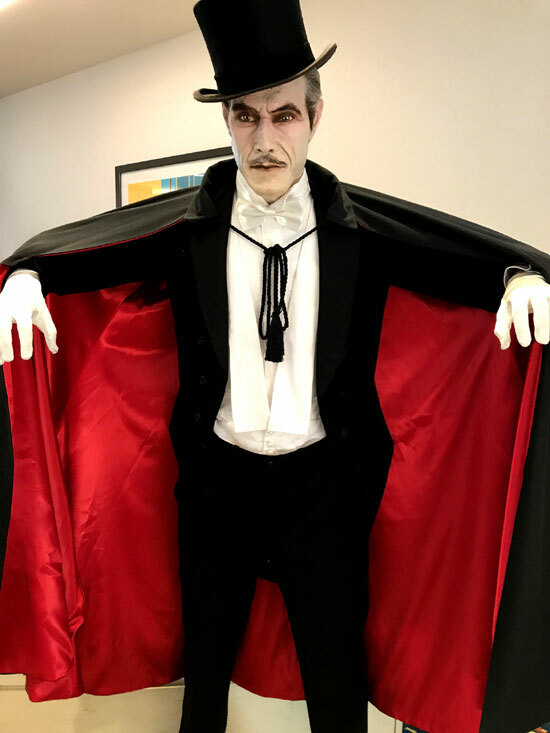 Life-size figure of John Carradine as Dracula by Bill Luciani and Tony Pitocco. The first view of The Monster from FRANKENSTEIN (1931) recreated. 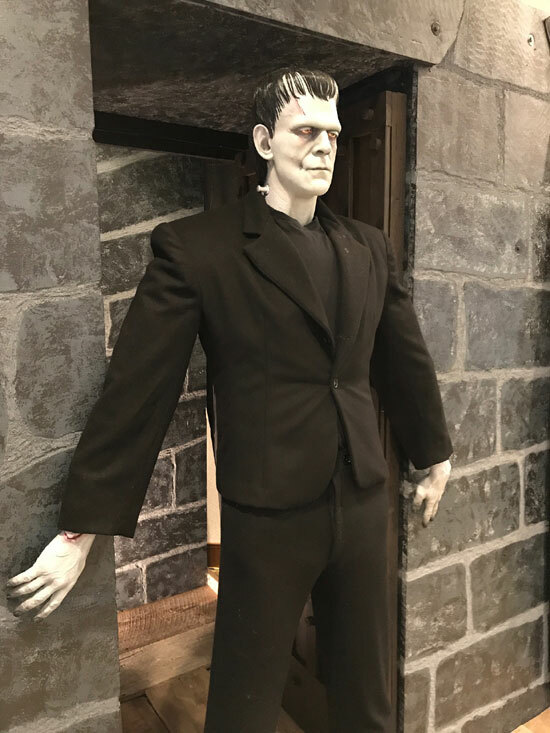 original from the film) at Monster Bash. Live theatre at Monster Bash, Poe style with Zach Zito. Pictured left to right: Dan Weber (he made the pendulum! 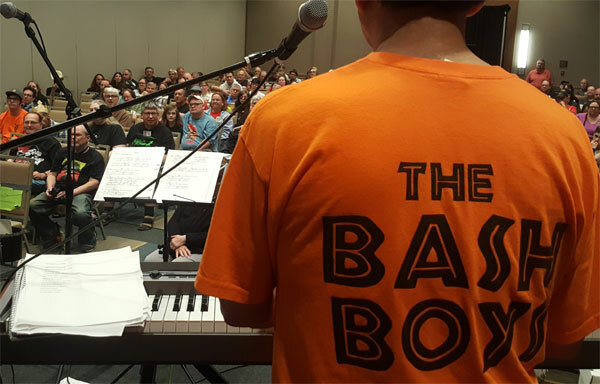 ), Zach Zito, Bruce Tinkel and Michael Lederman.